A family-owned business, 2nd Family began as a result of our own experience in searching for in-home care for our own loved one – our grandmother. We discovered first-hand that there was a huge void between the level of care available and the level of care that we wanted for our own loved one. It was frustrating and emotionally draining. Having gone through the process of trying to find someone to care for our loved one, we immediately felt compelled to fill that void and help others dealing with similar situations by offering our clients caregivers with superior training who have a heart for what they do and the tools needed to do it with excellence. 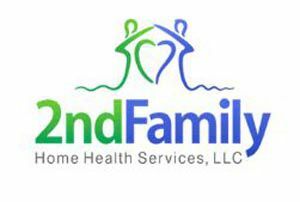 2nd Family is an award-winning company who truly manages your care process every step of the way through our unique use of RN Care Coordinators. We also specialize in Alzheimer's and Dementia Care. Call us today to discuss how we can customize a care plan to fit all of your needs.